I’m going to preface this one with the fact that we won. Three points. Because you may not ascertain that from the rest of this post. 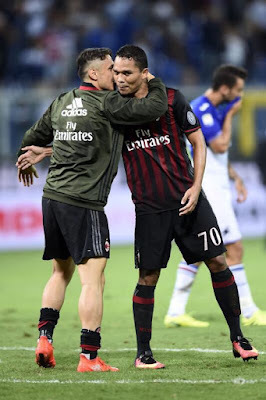 And while Donnarumma continues to be our MVP, this game was the Bacca show. Even though he didn’t start. And partially because he didn’t start. But it certainly wasn’t the Montella show, and I’m starting to sense his days are numbered. And not just because of Bacca, either. For a coach who wants his team to play possession-based football, the stats are not helping him. Not only did Sampdoria, a team with a roster inferior to ours on paper, dominate much of the game, but they managed 52% possession as well. Shoutout to Irrati, who was clearly irate about something, who made some very head-scratching non-calls that could have changed the game for either team. Donnarumma made some more jaw-dropping saves to keep Milan in the game. He and Luis Muriel are now on a first name basis, as Muriel took many of Sampdoria’s twelve shots. And while Lapadula made a decent impression on his first competitive start for Milan, our attack was rendered virtually toothless. Although every time they panned to Montella’s face on the sidelines, it said “I shouldn’t have benched Bacca.” Well we weren’t quite toothless, there was the long-range shot from Montolivo in the 26th. But hey, at least it was in the same hemisphere as the goal this time, that’s improvement. Milan had zero shots on goal in the first half. Zero. Hip hip hoora for possession! 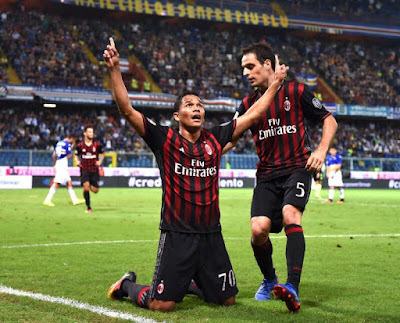 The second half, after Montella swallowed that “pride,” maybe got more of that “anger” and took some of that “responsibility” (the three things he asked his players for in this match this week after yelling at them,) he brought on Bacca in the 64th. Funny how much the game changed for a player who was criticized for not moving enough off the ball. And I think Bacca may have had all three of Milan’s three shots on target, too. So in the 85th, one of those three shots on target got past Viviano to give Milan all three points. 1-0 Milan. 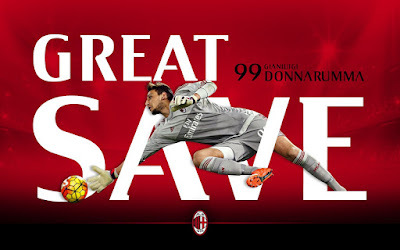 It is well known that I am not fond of Montolivo, but I think he played better last night. I mean his starting spot was on the line. So instead of just playing terribly, at least he did that while running. 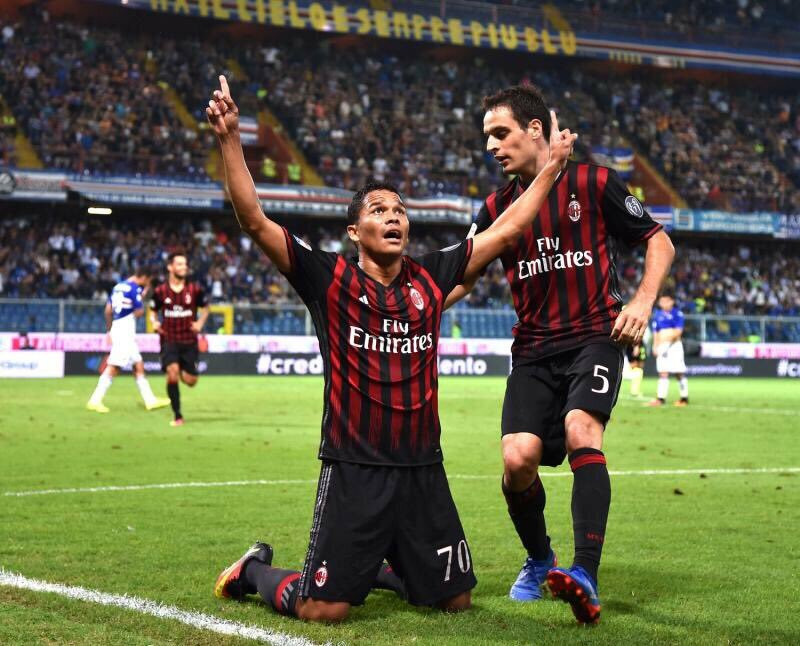 And Muriel was grateful, too because he nearly scored from what would have been Montolivo’s assist in the 14th. Also, with so many handballs called in the match, Montolivo has the distinction of having his not called. So there’s something. Lapadula "Thanks for fighting with Montella, it's obviously the only way I'm gonna start"
But I cannot say the same about Montella. One of my specialties is the behavioral management of “difficult” children, and in addition to clear communication and expectations, consistency is one of the most important things. For them and for all human beings. It’s not enough to be able to forgive and forget a training ground row and hug each other publicly at the end of a game when a player saved the day, the game, and possibly your job. Especially when he scored his goal from an assist he asked for, playing the way he played, the opposite of what you asked him to do. Talk about losing the dressing room. No, this goes back to the discipline I’ve talked about multiple times in posts and recent podcasts. It started with Montella coming in wanting to be the “cool” coach, everyone’s friend. Eat whatever you want, he said. Trainings are more joyful, they said. Less yelling is good, they said. Work more on the ball, he said, and now you’ve got a squad who doesn’t have 90 minutes in their legs. Then came the red cards, as many in two games as we had all last season. Then Montella yelled at them after Udinese, the very thing no one missed about Mihajlovic. That was followed a couple of days later by the “confrontation” with Bacca that led to him being benched. Keep in mind that Bacca never had an issue with Mihajlovic. But he did storm off after being subbed by Brocchi (another discipline-optional manager,) and now this with Montella. I’m so not about prima donna players. But when a player who has otherwise proven to be professional and has pledged his very career to a club based on promises that weren’t kept takes issue with coaches who are inconsistent and have unrealistic expectations, I kind of think it might not be the player as much. Montella thinking "Thanks for saving my job"
And Bacca is the least of Montella’s worries. At least he came on and did his job. Other players fought hard, but the mentality is so not there, and this win was quite lucky (or almost entirely credited to Bacca, whichever way you look at it.) His players swarmed the ref “persistently” again, something he said he wouldn’t tolerate. But none of them are being benched. And what is he just going to pretend that it didn’t happen… again? Truth is, I don’t believe he knows what he’s doing when it comes to the man management. Which is the worst kind of coach for where this team is. Not only have the club changed expectations and consistency by hiring six coaches in two and a half years, the very future of the club itself is completely up in the air with the pending sale. It's a mess. So we got the three points this time. Yay. Did we deserve them? Don’t answer that. It’s too depressing. But between the unrealistic expectations of his possession-based football to the lack of discipline and consistency in his own coaching, I can’t see Montella being anything more than an interim coach at this point. I hope I’m wrong, but he may as well stop fighting it and let Bacca, who now has four goals in four games, do whatever he needs to do however he needs to do it, and let us all just sit back and enjoy the Bacca Show. We should be so lucky, and it’s clear the rest of the squad will struggle to produce anything else half as interesting to watch.